Xiaomi is said to be preparing for the launch of its Mi A2 Android One smartphone which is the successor to last year’s Mi A1. Though the launch date is not yet known the rumor mill is not stopping. A new leaked image now shows the alleged Mi A2’s ‘About phone’ screen that confirms some of the details we have already come to expect. 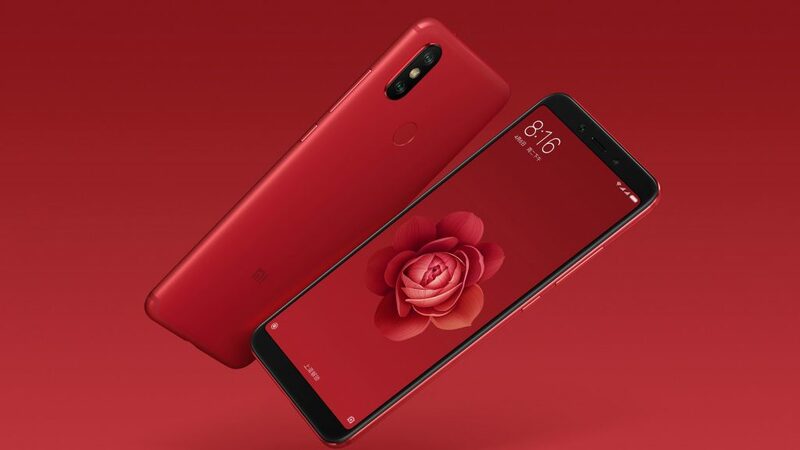 Xiaomi will launch a rebranded Mi 6X that was launched in China back in April as MI A2 in global markets as it did with the Mi 5X. Notably, the new Mi A2 is also expected to run stock Android and will come without Xiaomi’s MIUI skin. 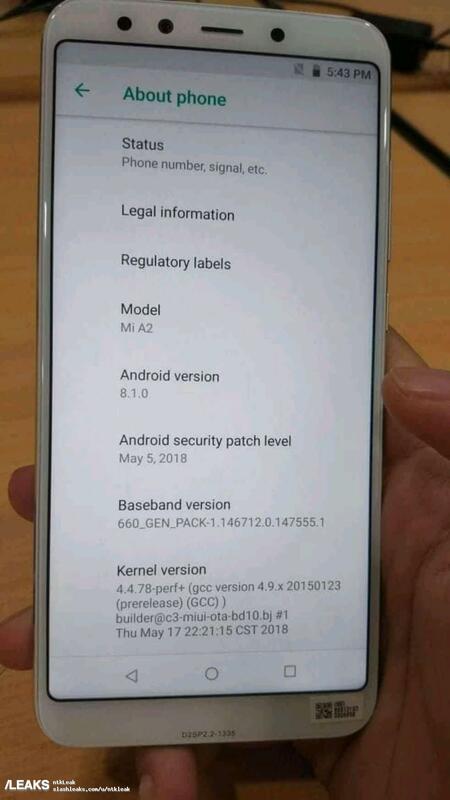 The About phone screenshot revealed by Slashleaks confirms just the Android 8.1 Oreo software without MIUI. The Mi 6X comes with MIUI 9.5 based on Android 8.1 Oreo, so this device is surely the alleged Mi A2. The image also shows the May security patch and a more recent security update is expected once the phone is launched. The leaked image also confirms that the Mi A2 will be powered by a Snapdragon 660 chipset same as the Mi 6X. The device will come with either 4GB or 6GB of RAM and 32GB, 64GB or 128GB of internal storage options. If we talk about other specs, the Mi A2 is expected to sport a 5.99-inch FHD+ display with 18:9 aspect ratio. For optics, the Mi A2 will sport a dual camera setup with 12MP + 20MP sensors. Up front, the Mi A2 is said to come with a 20MP camera. The Mi A2 will pack a 3,010mAh battery with USB Type-C and fast charging support. The Mi 6X price starts at 1,599 RMB (Rs 16,904 approx.) in China for the base variant. So, we expect the similar pricing of the Mi A2 when it comes to India.